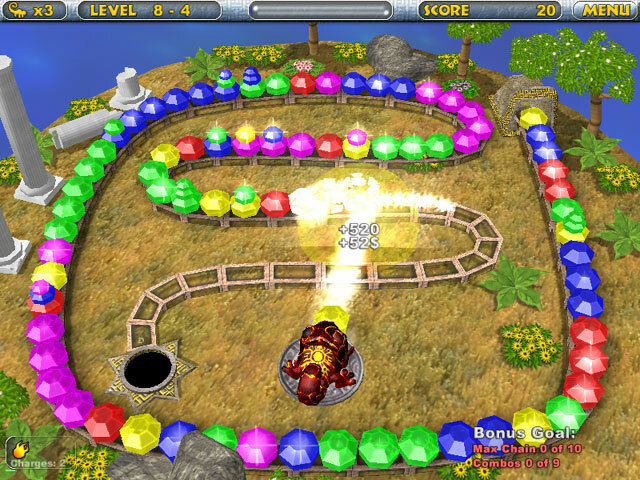 A hot new action puzzle game! 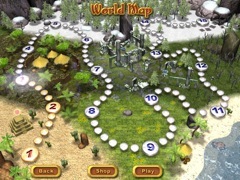 In Chameleon Gems, you get to traverse the map of an ancient land and solve plenty of puzzles on the way. 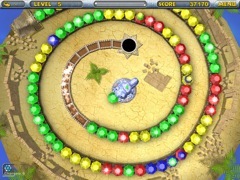 Control the magical powers of the chameleon idol and blast gems before they reach the pit. 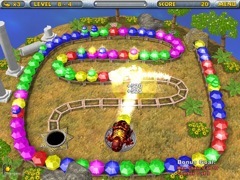 At the end of each level, the score is converted to money that you can spend at the shop to buy extra lives or new skins for your chameleon. Each skin comes with different powerups and effects!